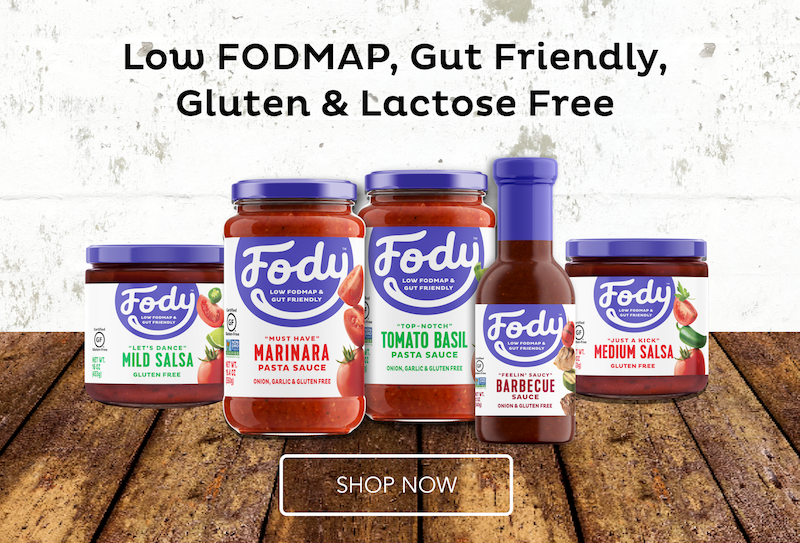 As I learn more about IBS and how to manage it I often find myself reading into alternatives to the low FODMAP diet. While I am able to manage my symptoms through the diet, as a scientist, I’m keen to find out about other natural remedies. There must be more to it, as the gut is so complex! In the past I’ve tried taking probiotic tablets, drinking a yakult a day, taking peppermint oil supplements or even multivitamins all in an attempt to curb the symptoms. I haven’t had much luck with any of those though, it all upset my gut somewhat or made no real difference. I then started reading a book by Dr Michael Mosley called “The Clever Guts Diet”, again to see if there were any natural ways I could improve the health of my rather unhappy gut. I was very interested to read that inulin can improve your gut bacteria. I then began sourcing foods containing inulin (and I know what you’re all thinking… it’s high FODMAP!) Well having spent a fortune on some imported fancy cereal with added inulin, I soon found out the hard way that inulin and IBS are not a good idea! 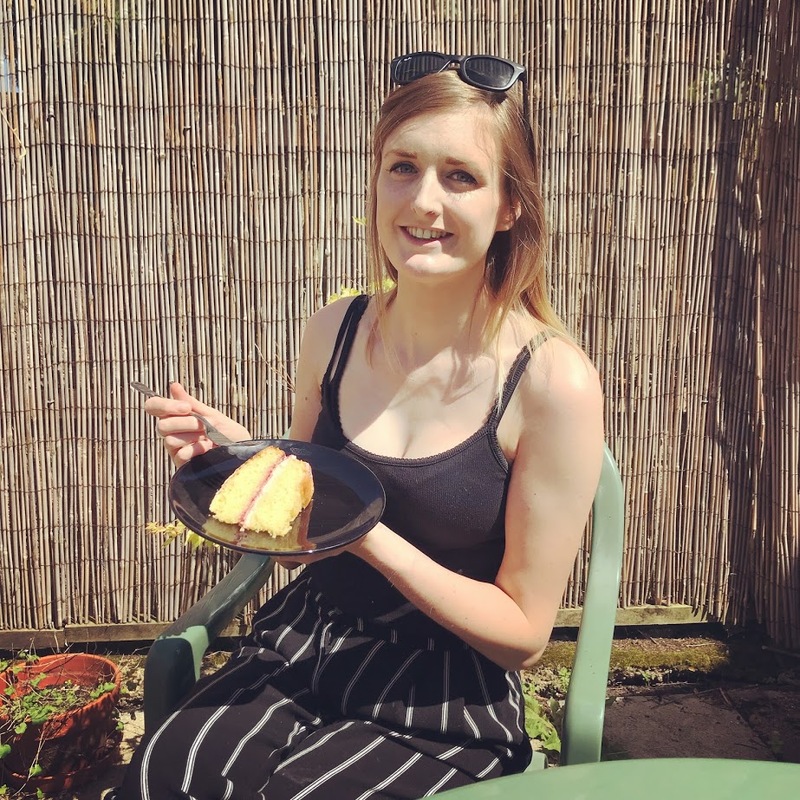 I do sometimes get caught out by the low FODMAP diet (which I’m sure we all do) and I do wonder whether the health benefits outweigh the symptoms of IBS. However when I’m doubled over in pain, awake all night or (sorry for the intimate detail) stuck on the toilet, the health benefits are not worth it… And there aren’t likely to be any health benefits when the beneficial ingredient is being rushed through the intestines. This leads me to finding out about kombucha! Having read into the benefits, and how it’s made, I’m finally wondering if this is my miracle find for managing symptoms and restoring gut bacteria. IBS can sometimes develop after a bad bout of illness/travellers diarrhoea or even a course of antibiotics, so it could potentially be linked to a lack of gut bacteria and enzymes causing the symptoms (I will spend more time looking at the scientific evidence behind this, rather than speculating though!) 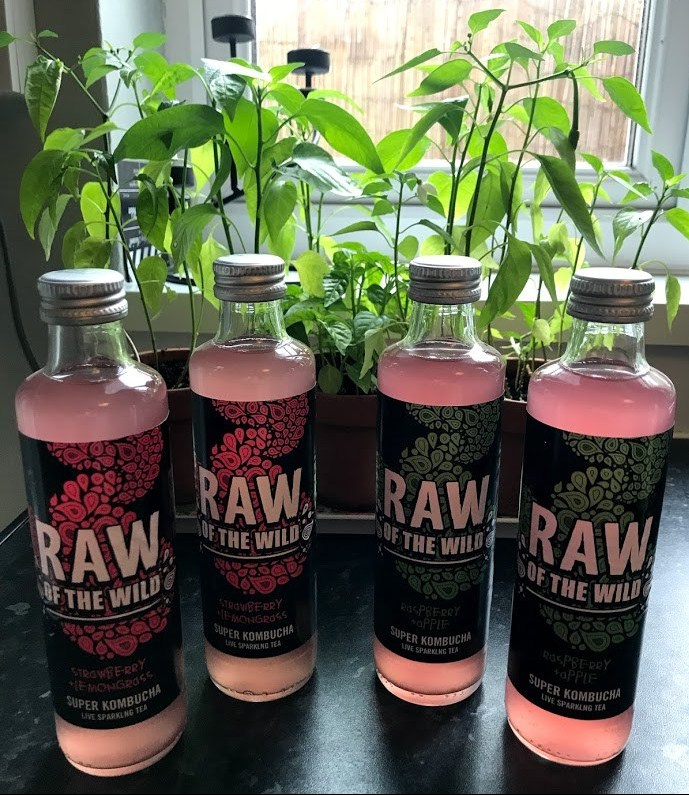 I’ve recently been sent some super kombucha to try by Raw of the Wild, which is my first experience of kombucha. I’ve been so excited to try it since coming across their products on Instagram. I was attracted by all the buzz words like fermented, non-alcoholic, sugar-free, live bacteria, tea, probiotic, organic – these words jumped out at me in my quest to find natural remedies for managing IBS. 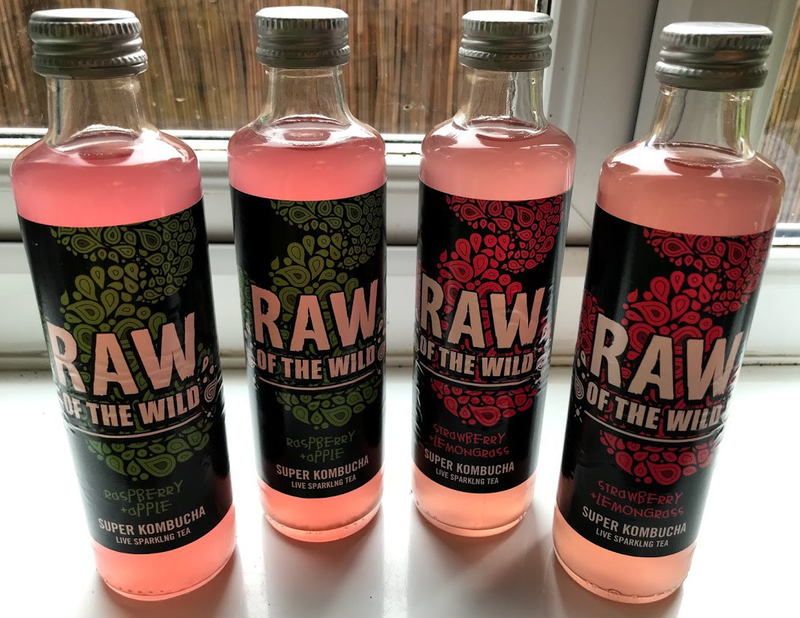 The Raw of the Wild Super Kombucha come in two flavours: Apple & Raspberry, and Strawberry & Lemongrass. The first is not low FODMAP due to the presence of apple, but for any of my gluten free / dairy free followers, I had a sip and found this to be a really nice flavour, like a mild apple squash with a refreshing spritz. The Strawberry & Lemongrass was equally as subtle, but with floral notes, and again really refreshing. In all honesty, due to the gut health benefits, I wasn’t sure they were going to taste nice, but I was pleasantly surprised by how much I liked them! Aside from the gut benefits, I’d recommend them on taste alone. 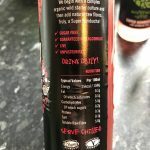 When trying kombucha for the first time, I’d suggest trying a little bit first (particularly if you have IBS) and seeing how you get on with it. At first, it did make me a little gassy, but I think that’s all the good bacteria getting to work! You can then introduce it regularly to benefit your gut in the long term. 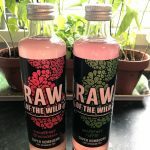 In light of this, I’ve launched a competition with Raw of the Wild for one winner to receive four bottles of their Super Kombucha (two of each flavour) to enjoy and benefit from the health goodness. See my Instagram page to enter! I’d love to hear from you so let me know in the comments below if you’ve tried kombucha before, and how you found it in managing your IBS. 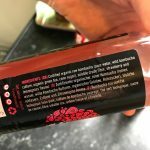 As I mentioned earlier, I’m quite new to the concept of kombucha and I’d love to hear your thoughts. In the meantime, make sure you give Raw of the Wild a try, to supplement all the existing benefits of the low FODMAP diet. Just found this articke, its really interesting as I got IBS after really bad food poisoning 2 years ago. How often do you drink Kombucha? I don’t drink it regularly just now and again to improve gut health. I find probiotics are better for regular use.